In Photosynthesis, different tree species compete to push and control the terrain of the small, sunny island. Each tree grows if it receives enough sun and projects a shadow proportional to its size. A refined mechanics and very tactical. When a tree reaches the end of its life cycle, players earn a number of points relative to the quality of the terrain where it has grown. Shade your opponents and anticipate the rotations of the sun to grow your trees at the expense of those of other players! A strong and intuitive theme. 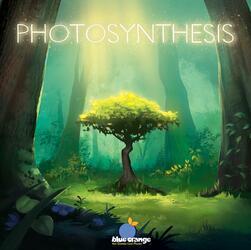 Photosynthesis is a game with a deep tactical depth with clean and accessible rules, explained in a few minutes.